APSLEY HOUSE, London. 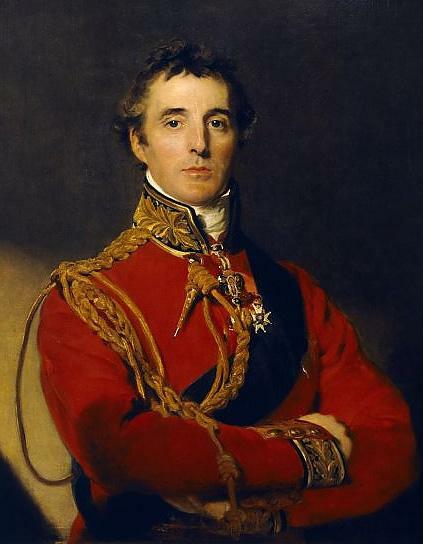 ” Arthur Wellesley, First Duke of Wellington ” portrait by Sir Thomas Lawrence (1769-1830). The 18th Century aristocracy were addicted to written communication. They wrote copious letters and kept detailed diaries of their everyday activities. 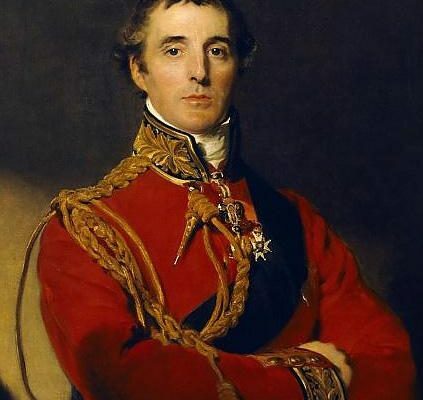 It is therefore doubly curious that there still remains uncertainty about both the birthdate and the birthplace of Arthur Wesley, First Duke of Wellington(Ed. In 1798 the family changed the name to Wellesley). Some readers will already be familiar with the various alternatives that have been proposed over the years; some indeed may already have firm views on the veracity of one particular set of circumstances. The situation is, however, worth setting out in some detail, if only because most of the great Wellingtonian biographers have made it appear far simpler than is really the case. During the Duke’s lifetime, there appears to have been no overt controversy about the details of his birth although, as we shall see, the documentary sources were not consistent even then. Burke ‘s Peerage recorded it as taking place on 1 May 1769. This same date was attested by the Duke’s habit in later life of celebrating his birthday then, by a written statement from his father, filed with the Irish House of Lords in April 1779 and, possibly, by a letter written by his mother in 1815. The family tree of the Second Earl of Mornington (Arthur’s brother Richard) records Arthur as being born on 1 May. The date of this document’s preparation must have been between 1790-1797, since Arthur is shown as member for Trim. However, it is uncertain whether the family validated the document since, unlike most entries in the National Library of Ireland’s family tree records, this one was not signed by the subject. The information might have been transcribed from the earlier House of Lords document. On the face of things, these sources seem fairly conclusive as to the date and 1st of May has also received general acceptance by modern biographers, even if the arguments used are not always based directly on this documentation. Thus, Longford concludes rather unhelpfully that, since the Duke observed that date as his birthday, “his biographer cannot do better than follow him”. The Duke’s great-niece, Muriel Wellesley, wrote “his mother says it was May 1″ and she might be expected to know something about it”. But this attribution appears to be based on a report in The Times from a James Cuthbertson, claiming that Lady Mornington had in 1815 written in response to an enquiry from him.. “[Arthur } was born on 1st May.” In fact, there is no direct evidence that this letter ever existed. Reports in the contemporary Dublin periodicals are consistent with a birthdate sometime around 1 May but none identify a specific day. Thus, the Dublin Gazette of 2-4 May reports ”A few days ago in Merrion St”, while the Dublin Mercury of May 7, Freeman’s Journal of May 4 and Pue ‘s Occurrence of May 6 state “[Birth} Merrion Street, Right Honourable the Countess of Mornington, of a son.” without mention of any date. Incidentally, although Guedalla claims that Freeman’s Journal reported that the birth occurred on 4 May, this is a misinterpretation: the convention used by that journal was to publish lists of births, marriages and deaths only once per week and to date the list as of that day. This apparently simple situation began to change immediately after the Duke’s death in 1852, when Mr John Murray published the results of his research into the birth. Murray was the first to publicize the fact that the baptismal register of the Parish of St Peter, Dublin records Arthur’s christening on 30 April. It is always possible that the parish officials did not know what day it was but there is at least little likelihood that these records have been falsified, either intentionally or otherwise. The entry above (Thomas Doyle) is dated 23 April and the entry following (David Moneypenny) is dated 24 May; all are in the same hand and are on adjacent lines of a single page, with no corrections being evident and the whole being signed off by Archdeacon Isaac Mann. Murray was also responsible for starting another controversy; through his research into the records of the Irish parliament. In 1790, Arthur had stood as one of the two candidates for Trim and had been elected on 30 April 1790. When the House sat next in January of 1791, an Edward Mockler and others entered a petition on behalf of the burgesses of Trim that his candidature was invalid, as he had been under 21 on the day of election. One of the witnesses called by the Committee of Enquiry was the Wesley family nurse. who was commanded to bring with her the family bible containing entries for all births. This might have solved the question for all time but, infuriatingly, the petition was withdrawn and there is no documentation of whether evidence was taken. On the basis of this absence, Guedalla concludes that none was taken; on the other hand, a report in the Illustrated London News of an 1843 visit to Trim has an attendee at the Enquiry state that a nurse called Mrs Daly did give evidence. What happened to the bible is unclear; certainly later biographers have never referred to it. There may of course have been a variety of reasons for Mockler’s change of heart, but withdrawal of the petition could itself be construed as evidence that a birth earlier than 30 April had been established. rather than the date of the event, but it does support a birth prior to 1 May. However, any birthdate around the last week of April would be consistent with the baptismal date only if the baby was thought to be about to die, since normal custom would postpone christening for at least some weeks after birth. Guedalla claims to have had access to local dispensary records that indicated that the baby was not prescribed any medicines until July and there is no other documentary evidence for a prenatal illness. Thus, the baptismal record itself suggests a birthdate in early April or even earlier, and certain anecdotal sources support this. Gleig cites “an old Dublin newspaper” as claiming 3 April. I do not know the source of this reference but it is probably not contemporary with the birth – as mentioned above, all 1769 Dublin papers that I have examined report the event at the beginning of May. Gleig also claims that the midwife declared a birthdate of 6 March, but I have not traced the origin of this information. If the inability of all these sources to pinpoint a definitive date for Arthur’s birth seems frustrating, it is nothing to the conflict of opinion about where it occurred. Guedalla, for example, lists eight possibilities, although closer examination soon rules out some of these. There is, for instance, a proposal of a birth at sea, originating from a letter to The Times from a Capt. J Russell on 7 June 1926. This stated that he was told in 1872 by an old lady who claimed to have helped her mother nurse the Duke that he had been born ”just before his mother had landed at Dublin”. This is highly unlikely – arrivals from England were possibly the most assiduously reported events in the Dublin press, and neither the Dublin Gazette or Pue ‘s Occurrences record the Countess of Mornington landing in Dublin in the 4 months up to May 1769. Nonetheless, the report may have another interpretation that we shall revisit a little later. As with the birthdate, there seems to be little to no controversy until after the Duke’s death, despite the existence of conflicting evidence and the official entry in Burke ‘s Peerage stating it took place at the Wesley country house, Dangan Castle in County Meath. 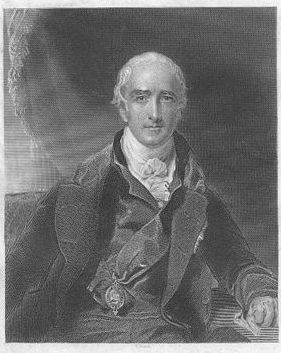 The Duke’s obituary in the Illustrated London News, however, claimed a Dublin birth. The next month saw publication of John Murray’s book. This uncovered the contemporary newspaper reports of the birth as being “in Merrion St”. 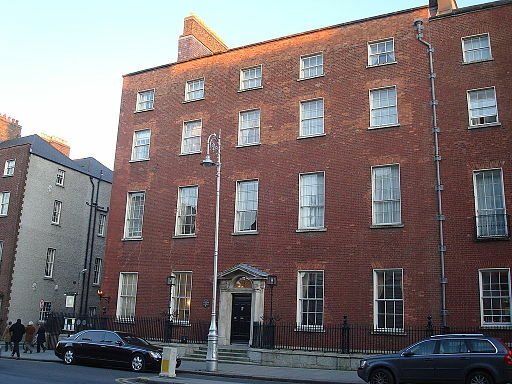 The family’s townhouse was 6 Merrion St, known as Mornington House (now 24 Upper Merrion St). newspaper suggestions of other neighbouring streets as having been the actual locations. Indeed, the Illustrated London News obituary claimed, in opposition to all existing printed sources, that the house itself was in Grafton St rather than Merrion St. But none of these quibbles alter the strong documentary case for a birth somewhere in Dublin and this view has been adopted by all later biographers. correspondent of the Illustrated London News wrote extensively on a visit to Dangan in 1843. He had interviewed an old tailor in Trim, who stated categorically that his mother, the nurse Daly and others who were witnesses at the Trim election enquiry had sworn their personal knowledge of the birth, suggesting its local occurrence. Nurse Daly had, he said, also specifically sworn that the birth had taken place at Dangan Castle. More recent, if biased, additional support for this view came from a Brig Gen. A R Burrowes, late Royal Irish Fusiliers, whose great grandfather purchased Dangan from the Earl of Mornington in 1793. Gen. Burrowes mentioned in The Times of 8 June 1926 a family tradition that the Duke was born at the castle. However, he presumably referred to a tradition in his own family, which does not necessarily mean that the same tradition was accepted by the Duke’s family. The possibility of the birth occurring in Trim, or at a variety of places between Dangan and Trim, is still a focus of local tourist publicity and is reinforced in local attitudes by the fact that a 20 metre monument to the Duke’s achievements overlooks the southern entrance to the town. Modern Trim historian Thomas Murray has listed 9 sites that have been favoured locally, although he does concede that 5 of these are not tenable for a variety of reasons. For example, one tradition has it that the Countess went into labour outside a particular house near the railway station because she was rushing to catch the Dublin train, although the first train did not run until 1841. Another, that the location was a stable in Emmett St, seems to stem from an over-literal interpretation of the Duke’s remark about being born in a stable not making one a horse. One of the remaining viable options is the gate-lodge at the Percival estate at Knightsbrook, on the Dangan road. Thomas Murray records that in 1965, 100- year-old Mrs Rose Daly, whose family lived opposite the lodge, told him that her grandmother had been present at the birth. Other locally favoured sites are the Keefe house midway between Dangan and Trim, a watering place called Lough O’Biody just outside the town and the Wesley family agent’s residence beside Trim Courthouse, in the town square. On 3 June 1926, The Times carried a letter from Mr Stanhope Kennedy of Basing stoke that muddied the waters even more. He wrote ‘ …. In 1851 (the year before his death) the Duke wrote in his own hand on the Census paper, which was preserved, opposite place of birth “In Ireland – believe Athy “. Athy is in south Kildare, about as far southwest of Dublin as Trim is northwest. There were no connections of the Wesley family with Athy and the town could not be reached without a lengthy detour from any road linking Trim to Dublin. Not only is the suggestion therefore quite improbable, but even Mr Kennedy’s basic claim could not be verified since the census records had been destroyed by fire in 1913. At least four possible explanations for this oddity seem to exist. The first must be that Mr Kennedy’s information was fallacious. Alternatively, the Duke might have been muddled in old age and made the whole thing up, or somebody else filled out the census form for him and entered incorrect information or his handwriting, which was not always easy to read, was misinterpreted. Can we Establish the Truth? must have been earlier than 1 May. It is also difficult to accept that the baptismal entry of the 30th April is incorrect. Guedella dismisses it with the assertion that parish records were inaccurate but the register is unambiguous and the prospect of somebody forging an entire page of the book afterwards seems an unlikely complication. At this stage, we have then a probable birthdate and baptism both in late April. But given the probability that a healthy baby would not be christened immediately after birth, this seems untenable. As well, there seems to be a clear divide between the newspaper documentation indicating a Dublin location and the substantial body of anecdotal evidence for a country birth. itself, all that those reports signify is that Lady Mornington and the baby were at Mornington House Dublin by the end of April. This would allow the birth to take place at Dangan or Trim some time during March or early April and for the baby to be subsequently brought to Town, consistent with both the birthdate given by the midwife to Gleig and with tailor Sherlock’s statements to the Illustrated London News. Even Capt. Russell’s old lady’s evidence could fit in with this schema, if by “landed in Dublin” she was referring colloquially to arrival by coach rather than by ship. Thomas Murray has noted one further fact that might have contributed over the years to some of the confusion. The Wesley agent’s house in Trim town square is known as Mornington House. Is it possible, therefore, that reports of a birth at Mornington House in Trim became confused with reports of the appearance of the Countess and her baby a short time later at a Dublin house of the same name? By Christopher Bell ed. for web. Ellison, C.C. 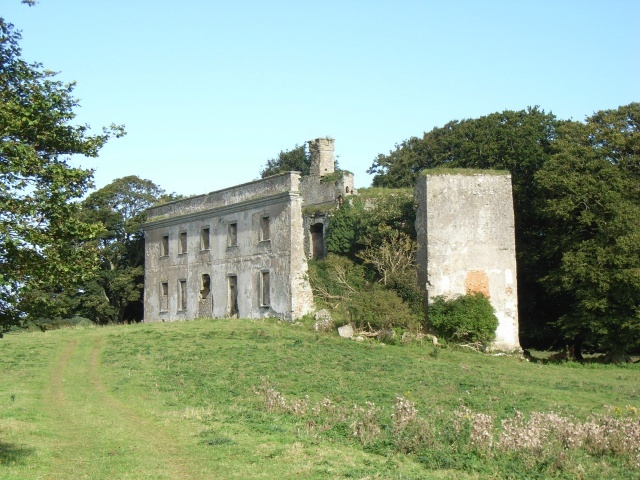 (1966) Notes on the rise and fall of a great Meath estate. Rioght na Midhe 3: 315-337. French, N.E. (ed.) (1992) Wellington: His Irish Connections, Meath Heritage Centre. Gleig, G.R. (1909) Life of Arthur, Duke of Wellington, Everyman. Guedella, P (1931) The Duke, Hodder & Staughton. 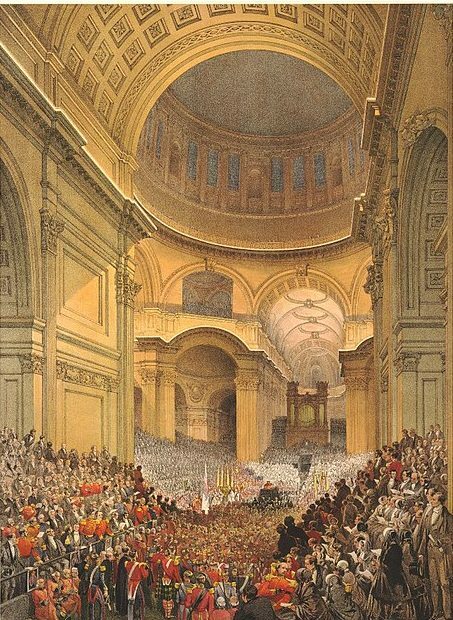 Illustrated London News, Sept-October, 1852. Longford, E. (1969) Wellington: the Years of the Sword, Weidenfeld & Nicolson, London.